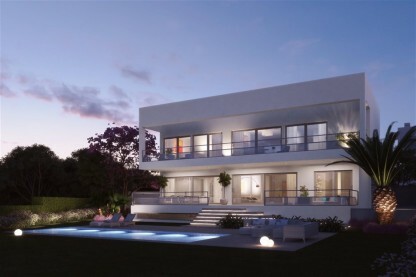 LOMA DE CASASOLA is a residential project of six luxurious villas designed by renowned architect Juan Antonio Fernandez, located in the heart of the prestigious neighborhood of Guadalmina Casasola in Marbella. LOMA DE CASASOLA is a private gated community of six luxurious villas. A true haven of peace, this neighborhood comprises the most beautiful villas of Marbella and Estepona. Facing southeast, 700 meters away from the sea, in the calm and green environment, this urbanization enjoys magnificent and clear/open views. The quality of the architecture and the optimization of the spaces led us to build modern villas with ample and bright spaces for a luxurious and comfortable living.